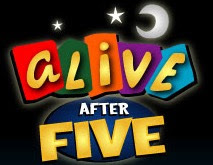 The United Regional Chamber of Commerce will hold its "Alive After Five" on October 18 from 5:00 PM - 7:00 PM at Dean College, 99 Main Street, Franklin. "Over the next few years both the talent pool we hire from as well as our client base will shift from Boomers and Gen Xer’s to Millenials and the generations behind them. If you don’t think these generations are different, you are sorely mistaken. Thea Cerio the Director of Career Planning and Internships at Dean College will be providing information on some tricks and tips for working with the younger generations. This session will start at 4:45 so there will still be plenty of time to network."